A brand new book from Oxford University Press, called Teaching the Pronunciation of English as a Lingua Franca, has just come my way. I have to declare a slight interest here: its author, Robin Walker, like me lives in Spain and we often coincide on ‘the circuit’. Apart from being a great speaker and thoroughly nice person, he is a passionate defender of the teaching of pronunciation, and, especially, of the teaching of the pronunciation of English as a lingua franca (ELF). I can’t think of a person better qualified, therefore, to provide what is effectively the long-awaited and more practical follow-up to Jennifer Jenkins’ seminal book, The Phonology of English as an International Language (2000, Oxford University Press). There’s no hint here of the controversy that the notions of both English as a lingua franca and the phonologicial core (PC) have generated. Jenkins’ subsequent book (2007), reviews – and attempts to defuse – some of this heat. Likewise, Robin Walker devotes a large section of his new book to demystifying some of the ‘concerns’ associated with an ELF approach, a principal one being that the phonological core represents a lowering of standards. As he points out, the standards are no less high, simply different. He might also have asked why the selection of certain core features of pronunciation to teach is equated with a lowering of standards, while selecting core vocabulary or core grammar is not? Language teaching, after all, has always involved prioritising certain features of the language at the (perhaps temporary) expense of others. And even if it’s the case that the bar has been lowered, isn’t it more realistic to make intelligibility your goal rather than the (virtually unachievable) goal of native-like accuracy (whatever that is)? Moreover, those, like Phillipson (2009), who critique ELF on ideological grounds, and equate it with linguistic imperialism, should be appeased (but probabaly won’t be) by the argument that ELF is a NNS-generated variety, not a NS imposed one. In short, Robin makes a good case for the phonological core, and for this alone the book is worth reading. If I have any problem with the notion of the phonological core, it is that – useful as it is to know those features of pronunciation without which ELF communication is at risk – the exclusive focus on a set of discrete phonological features perhaps misrepresents, or under-represents, the notion of intelligibility. Successful communication, after all, is contingent on a great many more factors than simply pronunciation – not least the need and willingness of the communicating parties to communicate! In the end, it is not accents that are intelligible, but people – using all their available linguistic, paralinguistic, and metalinguistic skills. To his credit, Walker (like Jenkins before him) acknowledges the importance of teaching what are called accommodation skills, accomodation being “the ability to adjust your speech and other aspects of spoken communication so that they become more (or less) like that of your interlocutors” (Walker, p.197). It’s not unlike the way I accomodate to the voice recognition software I’m using at the moment, by enunciating slightly more deliberately, and the way – over time – that the software accommodates to me, by remembering, for example, that there is a scholar called Vygotsky, not ‘the got ski’. Walker usefully integrates the teaching of accommodation skills into his suggested syllabus for ELF pronunciation, and recommends, as one way of doing this, having students dictate texts to one another. Teaching communication skills of a more general kind may also help overcome differences in accent perception. As Kirkpatrick (2007) says: “Students … need to be taught the communicative strategies that aid successful cross-cultural communication […] These strategies include the accommodation of different linguistic and sociolinguistic norms and a range of repair strategies which can be used in the face of misunderstanding” (p. 194). As a corollary to my initial doubt, I’m also wondering if the phonological core is less a cause of intelligibility than its consequence. That is to say (and to take an emergentist perspective), the PC must surely have developed out of the repeated co-adaptations over time of non-native speakers compelled to be mutually intelligible. Given a need and a willingness to communicate, something similar is likely to emerge in any discourse community whose members only partly share a common code. A (multi-lingual) classroom is just such a community. According to this view, rather than adopting a top-down approach and teaching the discrete features of the PC (by using, for example, the many practical ideas that Walker provides), it might be as effective, or even more so, to have learners discover for themselves how to maximise intelligibility, simply through taking part in real-life, purposeful communication. Tantalisingly, Jenkins hints at just such a bottom-up approach herself, when she says, “the point of the LFC [lingua franca core] is that the pronunciation norms in any given interaction are determined by ELF users themselves” (2007, p.26). If this is the case, why not let the learners discover for themselves what it is to become a successful communicator? The skills and strategies that they develop in the ‘small culture’ of the classroom should be exportable to the big culture of the lingua franca world. The problem is, of course, that in classrooms where all learners share the same L1, a locally-generated and mutually-intelligible accent will have very little export value: a Spanish-speaker speaking English to another Spanish-speaker will not need to make any adjustments or concessions in terms of accent – a point that Walker is well aware of, and a context for which his excellent practical ideas would really come into their own. Jenkins, J. 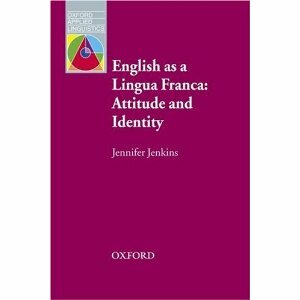 (2007) English as a Lingua Franca: Attitude and Identity. Oxford University Press. Kirkpatrick, A. (2007) World Englishes: Implications for International Communication and English Language Teaching. Cambridge University Press. Phillipson, R. (2009) Linguistic Imperialism Continued. Routledge. I’m really looking forward to getting a copy of this book. Is it generally available yet? I fear it may lead to the extinction of the Yorkshire accent in the long run, however. While I haven’t read the book’s arguments, I’m generally against the idea of a phonological core. As you point out, pronunciation difficulties differ based on the learners L1. There is nothing to promote “simplified” English pronunciation vs. native speaker pronunciation. Either way, some kind of standard is being used and that standard may not be suitable depending on the speaker’s L1. Vietnamese speakers have vastly different pronunciation difficulties compare to Germans. Exactly who are we producing this core for? Sometimes pronunciation mistakes can be understood from context, but they also often lead to confusion. Exactly how would we distinguish between “tank” and “thank”, “mat” and “math” without a “th” sound for example? So much meaning hangs on minimal pairs. The same goes for weak forms and linking – they distinguish the community of people being spoken to and the formality of the situation. Take that away and we start to lose those necessary distinctions. As I recently pointed out on my blog, if a student doesn’t say a word correctly, they will have a much harder time hearing it because they end up listening for what they expect and when they don’t hear it, it gets misunderstood. I think this problem can also be solved by lots of variations in the accents used in listenings as well rather than having students speak a particular way, but speaking does help. The most important thing really is the management of intelligibility as you point out. If my company works with the Taiwanese, I need to learn to understand and make myself understood by Taiwanese speakers of English regardless of how native speakers or PC would say things. It’s all about who is speaking to whom and in this respect I think ELF becomes an alternative obstacle to overcome rather than an easier path. I’d say the vast majority of English available in the media still comes from native speakers, not ELF, so in terms of accessibility, it may be more practical. Nick, thanks for the comment. But I have to disagree. You ask “exactly how would we distinguish between “tank” and “thank”, “mat” and “math” without a “th” sound for example? So much meaning hangs on minimal pairs.” I challenge you to give me a context where ‘tank’ and ‘thank’ could be confused. Or ‘mat’ and ‘math’. ‘The President of the USA sent lots of tanks/thanks to the Prime Minster of Turkey on the occasion of their joint military operations”??? Fairly far-fetched, you have to admit! Yeah, totally agree. I was just being lazy and didn’t want to take time to think of clearer examples :P. I guess long and short vowels are a big one here. Now I don’t get hung up on the mistakes because I’m used to them, but things like “live” vs. “leave” used to really confuse me. “Wet” and “vet” have caused confusion a number of times in my class oddly enough. “Boozy” instead of “busy” really through me for a loop for a while. I notice in general that I tend to understand pronunciation mistakes 2 weeks to a month in a new country. Before that, I often can’t make heads or tails of some issues. So, I do think it’s really important. Those of us working with foreign speakers tend to be better and interpreting meaning. Also adding on, I used to have major issues in the Czech and Turkey with simple mispronunciations. Some examples: I’d always get blank stares at the market when I asked for “dort tane ____”. It’s very clear from this sentence (tane always comes before a number) and the context (at a market stall) that I wanted so many things. The fact that I wasn’t putting the umlaut on the “o” got met with confusion though. The same used to constantly happy for “hala” as in “aunt” and “hala” with a long “a” as in “still.” There is no way you could assume I meant “aunt” instead of “still” in the sentence, but simply because I made the “a” short I would get met with total confusion. My theory is this: in the English language we have TV and movies where a huge range of accents are used. If we have a German character in a film, we put in an actor using a German accent. In this way we get used to a wide range of accents and alternative language patterns. Not all other linguistic communities have this and in places like the Czech, there may not even be a wide range of accents to begin with. People were constantly trying to correct me and then I realized that it was simply my accent they were trying to correct. They were unused to anyone but a Czech speaking Czech. So in the end, in my experience, even minor pronunciation mistakes can lead to communication breakdown even with very strong context and the rest of the sentence being correct. Agree? Disagree? Yes, Nick (with reference to your LIVE vs LEAVE comment), the length of vowels (i.e. their quantity) is included in the phonological core – but their quality (e.g. the difference between /ʌ/ and /ə/ , or between /ɔ/ and /ɑ/) doesn’t seem to matter a great deal. With regard to your second comment, there are a lot of stories of people who speak very good Japanese, for example, being met with blank stares by native speakers of that language, because they simply don’t expect a foreigner to be speaking it. But remember, this discussion is not so much about NS-NNS communication, but about the lingua franca situation, i.e. communication between two NNSs who don’t share an L1. In that case, if a Turk, for example, is speaking English to a Japanese, there is less likelihood that the situation will challenge expectations. Like Nick I also have a slight problem with the idea of a LFC being ‘taught’ to learners. A principle I have used is that you teach pronunciation as you (the teacher) speak English – the assumption being that use as an English teacher (native or not) have established yourself as an effective communicator in English. It is also difficult and artificial to model pronunciation other than your own. The goal for most learners is effective near native speaker level performance, the fact that many will not get there is immaterial in some respects (I will never play the trumpet like Louis Armstrong but that is still my goal) and must of course be coupled with the idea that if communication is succesful then the functional goal has been achieved. You point out that we select core vocabulary and core grammar and this is true but it is native speaker vocabulary and grammar – to be otherwise would be absurd and devalue English as a lingua franca. There is though I think an important difference between pronunciation and accent in that my German is at a level of native speaker pronunciation but my accent is still English (I say ich and not itch for example) and the idea of all learners achieving native speaker levels of accent is unbelievably problematic (which accent) and unneccessary – any clearly intelligible accent is perfectly okay, Brits speak with a Brit accent, Aussies with an Aussie accent and Spaniards speak English with a Spanish accent, I can see no objection to this except on grounds of NS snobbery (see Bernard Shaw). PS can I ask what voice recognition software you use? I think Andrew nailed it there. There’s a difference between having an accent and being unintelligible. When we say someone has a thick accent, it means they are farther away from intelligibility (allowing for the fact intelligibility will depend on the listener as much as the speaker). The impracticality is also a great point. I, for one, am terrible at accents and couldn’t imagine trying to teach in one not my own. This approach, therefore, does not mean substituting one accent for another. Rather it means fine-tuning the learner’s existing (L1) accent so that the above features are present. It’s tantamount to saying: “You are allowed to speak English with a Chinese/Spanish/Brazilian etc accent, but don’t forget to articulate your consonant clusters”. Finally, I think that, if a learner of the trumpet seriously aspired to emulate Louis Armstrong, they would be in for a lot of disappointment. Likewise, if language learners really believe they will achieve a native-like accent, they may need to be demystified about second language learning and what is realistically achievable. Yeah, great point on expectations there. If someone realizes I’m a foreigner here I still get blank stares speaking Turkish until my 4th or 5th repetition of a question. They simply phase you out. The worst is in tourist areas. They will simply automatically tell you that your Turkish is unintelligible if you even try to speak it. I still think the whole idea of a PC is dependent on the listener. I’m reminded of a teacher of mine who used to have to translate between her grandmother with a heavy Bostonian accent and her boyfriend with a heavy accent from somewhere in London. The two simply couldn’t have a conversation apparently. Another matter that came up this weekend was the mapping of L1 sounds onto the L2. My wife and I just started learning Mandarin. We’ve got some language learning software that gives us the option of Chinese characters or pinyin. Mandarin has a number of sounds not present in English or Turkish. We were both struggling to make the sounds and match the tones. My wife decided pinyin would be easier. What immediately happened is that her pronunciation became waaaay off. She stopped listening to the recordings and started pronouncing words according to Turkish rules. She also dropped all tones. I quickly changed it back to Chinese characters. Like with my comments on grammar translation, the L1 can become an actual block to learning the L2. At first she was trying to approximate the sounds, but once she had something in front of her similar to her L1 writing, she seemed to lose the capacity to hear or try to reproduce sounds correctly. I think one element of really encouraging correct pronunciation is distancing from the L1 and removing the mental block that L1 seems to create. I think this has implications for PC. The more you differentiate between the L1 and L2, whether it’s grammar or pronunciation, the easier it becomes to pick up the L2. As you move more towards the L2, there is less cross over and more of an open path. 3) Would pointing out the mistake help them in their language learning? In my class, depending on the answers to these questions, I will correct the student. If a pronunciation is a bit off, but it’s understandable, I usually don’t worry about it. It’s just like grammar or vocab. I’m not going to obsess over students not using the third person “s”, but I am going to correct it now and then and encourage them to use it. I, and I’m assuming most teachers, do not expect students to speak like us. The PC seems to be trying to standardize something most teachers already do. That is give some guidelines about intelligibility. I’m not sure it’s necessary, I also think pronunciation is too listener dependent, and it seems clear to me that an over-reliance on L1 can create actual blocks to L2 acquisition. I don’t expect my students to use perfect English in grammar, vocab, or pronunciation. As you said, that expectation is quite unrealistic. However, I set the goals quite high. Perhaps I got slightly sidetracked here, the issues surrounding pronunciation are I believe some of the most contentious in language teaching, probably because accent intrudes and many English speakers have strong views on the prestige value attached to particular accents. In a recent twitter eltchat the issue of teaching pronunciation was discussed and it very quickly became a discussion on accent. I would like to reiterate what I said earlier, I don’t think that any particular accent has primacy in English (native or non-native) and am troubled by the anecdotal evidence of a number of teachers being required or feeling compelled to teach either accent free English (which is mostly just RP) or a native speaker variety when I don’t believe this is neccessary for clear communication. This is of course not what the ELF core idea advocates and I accept your points on that but it is difficult to separate the two issues. Perhaps my concern with the phonological core concept is a philosophical one. 1. It is not an accent – fair enough, although I do think these elements are closely intertwined in practice if not in academia. 2. It advocates teaching those elements of pronunciation that are essential for clear communication – this sounds laudable and is difficult to disagree with, except that communication is not simply about clear communication but also about perception both recieved and projected. My German students do not need to pronounce th for clear communication z is perfectly okay but they worry about being stereotyped (see sitcom after sitcom) as a result and so wish to aim for a more ‘accurate’ pronunciation. It is this element that I feel the phonological core does not address, for want of a better phrase the affective element. It may well be that in practice then we are not too far apart – it’s just that the impression given borders on pushing for teaching a ‘simplified’ English and leading to a hierarchy of Englishes in teaching, something that I would wish to avoid. I may be misrepresenting Jenkins et al. here in what they actually say, but that is the idea that many I have spoken with are left with. But let’s ask the students: ‘What kind of English do you want to learn? The best level possible? Something very intricate and complex which you can delight in showing off, a truly academic achievement? Or a ‘quick-and-dirty’ solution, the ELF which some cynics dub Poundshop English? I wonder what they will say? Depends on what they are paying, I suppose, and what they perceive as ‘value’. Non-native varieties are dirty, poundshop English? The thing about ELF is it shows up teachers’ prejudices so clearly. Interesting posts. I just happen to be doing some research for my Masters Degree about ELF. What do you need your English for? Which level do you want to reach, in this case regarding pronunciation? The answer to the above questions may be crucial to determine how much importance (read classroom time) we should give to native speaker standard pronunciation -if such a thing exists, which is doubtful- in the classroom or how much importance (classroom time, again) should we devote to Jenkins´ contrived core. In any case. Since learners in monolingual/bilingual L1 classrooms (I´m teaching in Barcelona) do not have the chance to interact with students from other nationalities and cultures we should try to use recordings (videos) featuring as many varieties of English as possible, including or even giving preference to the ones spoken in the Outer and Expanding Circles so as to make learners aware of differences in pronunciation and prevent misunderstandings. Needless to say, I wouldn´t ask my students to reproduce the accent they have just heard (whatever variety that is), but rather, the model they should be aiming at -as it has already been pointed out- would be my own English, which incidentally, is not the one of a native speaker. In any case, teacher´s accent seems to be irrelevant. Learners finally get their own accent!!! If, as it seems, ELF is here to stay, it wouldn´t then be a bad idea if international examination boards included listening exercises incorporating Outer Circle and ELF varieties. And it wouln´t be a bad policy either if prestigious international language schools -no names here- started to take on fully qualified non native speaker teachers at a large scale, given the fact that non-native speaker teachers outnumber native speaker ones and they are better positioned when it comes to know what it takes to learn a foreign language. If such a thing happened it would mean that we have already got rid of prejudices and no longer consider a particular utterance “wrong” simply because it has not been pronounced with any of the Inner Circle pronunciations. It would mean then that we have already considered it “different”, neither better nor worse, as long as it is intelligible. Does this sound like science fiction to you? But then if intelligibility is the key, what happens with all those Inner Circle speakers who are found less intelligible than proficient Expanding Circle speakers in English communication among interlocutors of different first language backgrounds?. To my mind, this fact alone should do away with arguments of intelligibility some native speakers might have. Hope I haven´t ranted that much. Thanks for letting me in. I read your contribution with great interest because, as you do, I teach English in Barcelona. I’d just like to respond to the following section of your comment. First, and I think you’ll agree with me, there is massive variety in the level of ‘qualified’ English teachers in Catalonia and across Spain. We are still faced with a situation where my daughter has ‘home English’ and ‘school English’ because her English teacher does not understand her, and the variety of English she is being taught in class would not be intelligible, I assure you, outside Spain. Of course, this is no disrepect to the great number of superb NNS teachers. I am lucky enough to work in an institution where there is a good balance of NS and NNS teachers and I have learnt enormous amounts from them. The NS teachers who do not know very much about learning a language, as you point out, are probably the ‘tourists’ that places like Barcelona attract and would not be employed ( I hope ) by the more reputable institutions. Secondly, with the old CAP system, teachers here knew a lot about learning a language, true, but not always so much about how to teach it. The new MA in teacher training seems to promise more focus on teaching practice, classroom observation and the practicalities of teaching. Finally, I appreciate your justified frustration at the lack of representation of qualified, experienced NNS teachers in the international language schools but as you well know, the best pay and conditions for teachers in Spain are not in the private sector. It is far harder, I promise you, for a NS English teacher to break into the state school system, be it primary, secondary or EOI, than vice versa. There are so many obstacles in fact that it is actually easier to start from scratch and do your degree again here in Spain than to try and get your degree, PGCE, Dip, MA etc. recognised by the authorities here. There is very little freedom of labour movement in this particular sector of the EC. While I agree there is an unfair bias. I also believe it works both ways. Apologies to Scott and everybody for going off topic, but this is rather close to home. And yes, you´re absolutely right it actually works both ways. I do know all the problems you native speakers have to get into th public system. I don’t want to hijack Scott’s blog as I believe he’s already posted on the issue of Native speakerism. Suffice to say; Fair point, well made. It’s their loss. Thanks for this Scott, a book I’m looking forward to reading. Funny you should say that Jennifer Jenkins’ second book tried to quiet things down a bit, because I think she went in with pretty big airhorn to blast down her critics. Not a complaint – her style makes for great reading, and I think she is full of good sense. It’s one of those topics which generates a lot of heat though. I always think that people believe they are arguing about ELF, but actually they reveal a lot more about their feelings towards language and identity in general. There is something innately political about the topic, no? A good point about monolingual classes though… what we have to do, I think, is bring in a lot more authentic non-native voices. Textbooks are doing this (a mark in their favour, even for the dogme-ist ; D), and the internet allows us opportunities too. A plug for an interview with Jennifer Jenkins? Sorry Scott – you can trim this bit if you like! Of course, until the international examination bodies take a more relaxed attitude to L1 accents, not a lot will change. I was interested to see that a newly developed language test of spoken English that you can take over the phone allows you to choose to be assessed according to two standards: British English or American English. I guess nothing else counts! Thanks Scott – yes, a great point from Vicki. The challenge from the NNS teacher is my one sticking point with ELF. Is there a danger that NS will in some way patronise NNS by removing NS-like targets as unobtainable or undesirable? If a student really wants to sound like someone from California or Berkshire, shouldn’t we let them try? An answer to the challenger could be ‘Your English is already perfect – there is nothing wrong with your NNS accent, it has equal validity to that of someone from Brooklyn or Cornwall, also non-standard varieties”. I think it is a good answer, but I would still feel uncomfortable giving it. The chapter in Jenkins’ book about NNS attitudes towards their own accents is very telling in this regard. Do NNS want to sound like NS because they have been pressured to do so, or do they genuinely want to? If I understand it correctly ELF is more about inclusion than exclusion… recognising other varieties of English as valid and correct. The same people who are upset about it probably complain about ‘sloppy’ English from native speakers…. I’m not sure if I should contribute to this discussion on ELF. Scott, and if you feel I shouldn’t, please say so. However, there are some interesting points being made. In the last post, for example, Darren rightly worries about NNS teachers being told that they shouldn’t aspire to NS accents. But this is not an ELF issue. This is simply bad teacher education taking place. And in fact, nobody who researches in ELF, or who is involved in teacher education and ELF, would ever say such a thing. It is not up to ELF supporters, or indeed anyone, to tell a teacher or any other learner, what to aspire to. If learners tell us that they want to acquire an NS accent, then it’s our job to help them. However, I think it’s also our job to inform them as to the amount of work that acquiring a native-speaker accent involves, and of the chances of succeeding in this endeavour. As Scott has already pointed out, these are not very high. Another fact that I think would need pointing out to learners at some stage is the effectiveness of NS accents. It is still implicit in pronunciation teaching that if the learner acquires a NS accent, they will be intelligible in all contexts. However, research has shown that in ELF contexts NS accents are not necessarily the most intelligible. Larry Smith, for example, investigated intelligibility among NSs and NNSs of English. He was concerned that as the variety of accents increased, especially with the huge range of NNS accents, English might cease to fucntion internationally because of all of these different accents becoming mutually unintelligible. His research allowed him to conclude that “there was no evidence of a breakdown in the functioning of English as an international lingua franca but that, interestingly, native speakers (from Britain and the US) were not found to be the most easily understood … … nor were they, as subjects, found to be the best able to understand the different varieties of English”. “In organisations where English has become the corporate language, meetings sometimes go smoothly when no native speakers are present.This is not just because non-native speakers are intimidated by the presence of a native speaker. Increasingly, the problem may be that few native speakers belong to the community of practice which is developing amongst lingua franca users”. Last of all, we need to separate ‘accent’ and ‘intelligibility’ quite clearly in our minds. In Canada, Tracy Derwing and Murrray Munro have done a lot of research in this area and they conclude that there is no direct correlation between the two terms. “One very robust finding in our work is that accent and intelligibility are not the same thing. A speaker can have a very strong accent, yet be perfectly understood”. Of course, the interesting thing is to look into who is calling an accent ‘strong’. Andrew’s comment about his German students being stereotyped in “sitcom after sitcom” for pronouncing TH as /z/ is a telling one, and forces us to ask where these sitcoms are being produced. In Japan? In France? In Brazil? In the UK? Yes, sadly, it’s the NSs of English who tend to stereotype the way NNSs use the language, whilst in ELF settings, the NNSs involved just seem to get on with the business of understanding each other. OK, Scott, as I said at the beginning, if it’s not appropriate for me to contribute to these postings, please say so, and perhaps delete this one, too. Thanks, Robin, for joining the discussion – and your comments seem not only appropriate but well-timed. If nothing else, this needs to be re-iterated: “A speaker can have a very strong accent, yet be perfectly understood”. And also that “in ELF settings, the NNSs involved just seem to get on with the business of understanding each other.” I have an enduring memory of over-hearing a conversation (I think it was in Belgrade) between a group of businessmen having breakfast in a hotel, and where it was clear (from their accents) that none of them was a native speaker. The conversation flowed effortlessly, not least because they were talking about football – which, when you think of it, is another kind of lingua franca. In combination with English, at least, it meant that issues of accent difference were irrelevant. So long as names like Messi, Mourinho, Henri, etc were even vaguely recognisable, the conversation was bound to succeed. I’m not sure what this adds to the discussion, except that there’s a lot more than vowels involved in successful communication! I have to admit, Scott, when I read Andrew Pickles’s comment above about teaching LFC to learners, well, the child in my womb leapt for joy (or at least would have if etcetcetc).